Mikael Erlandsson is back with his 6th solo album “Capricorn Six”. 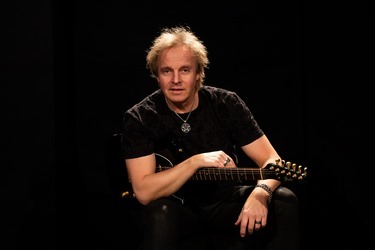 The Swedish singer is a true Aor/melodic rock legend that with his amazing voice which has been one of the best in this genre for more than 25 years. Erlandsson had success in Sweden already in 1990 when he was the frontman in the band N´Gang where he had several hits incl. a Swedish song in the Eurovision Song Contest. The breakthrough in the Rock scene happened in 1993 when he released his first solo album. The album topped that year’s best of melodic rock charts and had an impact all over the world - but especially in Japan. Later on, 4 more solo albums saw the light of day and Erlandsson guested as singer on albums with Phenomena, Radioactive, Salute, Love Under Cover amongst others. During the last fifteen years Mikael also led his own band “Last Autumns Dream” who released 15 albums and did some touring in Japan, Germany and England. Now, Mikael Erlandsson is back with a new album filled with songs in his classic style. Musicians on the album are Sayit Dölen (guitar), Pontus Engborg (drums) and Joel Starander (bass). The record was produced by Claes Andreasson and Mikael Erlandsson (Last Autumns Dream, Heartbreak Radio) and mixed and mastered by Martin Kronlund (guest guitar themes on ”Eye of the hurricane” , ”Break another heart” & ”I just wanna love you”. 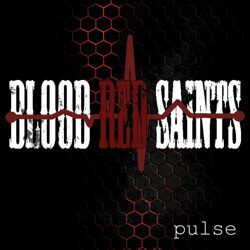 2019 brings the release of the third album by British rockers Blood Red Saints. 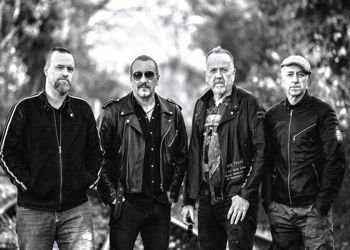 The album, released through AOR Heaven is entitled 'Pulse' on February 22 and sees the band modernising their sound whilst still retaining the big choruses. Guitarist Lee Revill is the man tasked with mixing and engineering the album as well as co-producing alongside Pete Godfrey. “Pulse” features 11 tracks all written by Revill/Godfrey and the album has a more contemporary edge, trying to push the boundaries of Melodic Rock. Songs such as “Cross to bear” and “Crash into me”, edge into radio friendly territory whilst “I'm your Devil” has a more raw punky feel. The title track “Pulse” is all about the chant and should be a great live number, “Animals” and “Message to God” being full on rockers.